The first full length LP from the almighty City Mouse! Miski Dee's killer vocals! Produced by Mass Giorgini! 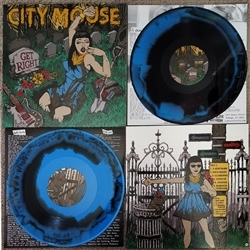 Awesome black n blue vinyl! On It's Alive Records! Everything you could possibly want in a record!!!!!!! Punk Rock-N-Soul-Roll!!! !